Hyderabad, December 17: The Congress has stooped to a new low by trying to hijack many of the welfare schemes implemented by YSR though it has to cut a sorry figure when questioned as to why the same schemes have never found presence in any of the Congress-ruled states, YSR Congress has said. “Ghulam Nabi Azad and other leaders claiming that YSR has only implemented arogyasri and other welfare measures, drafted by the Party and Sonia Gandhi, do not stand the scrutiny of time as in no other Congress ruled states were the schemes implemented. It is sheer hijacking of the populist image of YSR,” the Party spokesperson Ambati Rambabu told reporters here on Monday. Free power to farmers, Muslim reservations, Aarogyasri, 104, 108 and other schemes were introduced by YSR for the first time in the country and Congress staking claim is nothing short of usurping the good work done by YSR with political motives, he said. Ghulam Nabi Azad, who was the Chief Minister of Jammu and Kashmir and Union Health minister, is at a loss for words if questioned why he did not implement Muslim reservations and Aarogyasri in Jammu and Kashmir or other states, he said. Some other states must have emulated Aarogyasri, 104 and 108 but these schemes were first conceived and implemented by YS Rajasekhar Reddy. What Congress is now trying to do is to usurp the fruits of the stupendous success and popularity of the schemes YSR had carefully nurtured, he said. Free power to farmers was not in the Congress agenda, but YSR went ahead in 2004 with the scheme and even waived famer loans. Congress has never promised free power to farmers in any other State. 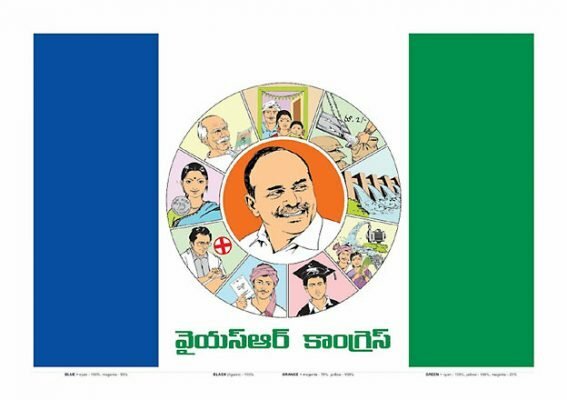 When YSR vision was well received, he has seen to it that free power to farmers is included in the 2009 election manifesto. The present Congress Government in the State has done away with all the schemes and did not release funds to 104 and 108 and curtailed the scope of Aarogyasri. Congress leaders are shamelessly taking credit of Aarogryasri and other schemes to gain political mileage, but people know as to who is the architect of the welfare schemes and told in very clear terms during the recent by-polls, he said. This apart, YSR has promised that there will be no hike in power tariff or increase in bus fares and kept his word. After his death, Congress government has steeply increased power charges and bus fares thrice, he said. Ahead of the 2009 elections, YSR had held a rededication meet at the same venue where the Congress conducted its extensive general body meeting on Sunday. YSR had told about his achievements and told his future plans. Congress gave a go by to such healthy practices, he said. Training his guns on K Chiranjeevi, he questioned why he merged PRP with Congress and at what price. The deal was to get ministerial berths in State and Centre and the film star turned politician speak of integrity does not go well after the unaccounted money stashed away at his daughter’s Chennai residence come to light, he said adding that he could not retain the Tirupati seat in spite of the joint efforts of PRP and Congress. Chiranjeevi has no moral right to speak of YS Jagan Mohan Reddy after the sell out his PRP to Congress. He has been parroting the same allegations leveled by TDP leaders of running the party from jail using cellphone. This shows the wave length of Congress and TDP is the same.